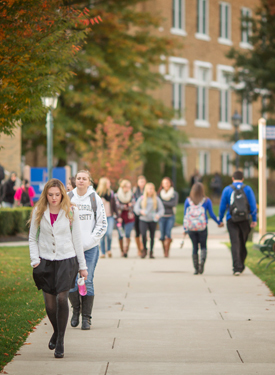 Student Life at MU is rooted in the core values of Mercy, Service, Justice, and Hospitality. We are a community where all are welcome. As a student, you will have the opportunity to get involved in a myriad of activities that will stretch you, challenge your thinking, and expand your horizons. I encourage you to participate in a club or organization, get involved in service, attend a cultural event or lecture, study abroad, or participate in leadership development. The sky is the limit! College is your time to think about your future and the difference you hope to make in the world you live in. Take a risk and get involved; your life will be richer because of it.